James R. Cioban, CTO “What is retailing in this time and age?” Answering his rhetorical question, James R. Cioban, CTO of Cierant Corporation, says that the new age consumer is increasingly being trained to expect a more personal and customized experience in virtually every shopping aspect. “Given the scenario, how can they most effectively get access to all of these products in a world where retailing is undergoing significant change?” With concepts like “just-walk-out store” becoming part of the conversation, brands need to ensure they can meet the demands driven by the technological shift both in retail and in consumer marketing as a whole. While formulating target-specific marketing programs from simple data is lightened by automation, sales teams are still dependent on back-end support for execution. Hence, brands oftentimes invest in an app and never really get it fully operational as anticipated. 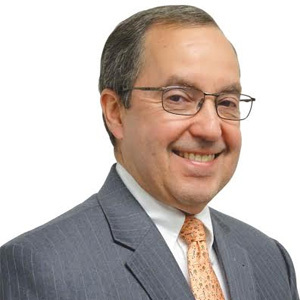 Creating a staple in the Consumer Packaged Goods (CPG) market, Cierant Corporation presents a true amalgam of technology platforms that are further empowered by professional services to allow customers to deploy marketing programs at an affordable entrance point with a high degree of enterprise-appropriate scaling. Whether it is a company with only a few or several hundred brands, Cierant provides the foundation for optimal marketing execution for all of them. With brands around the globe increasingly focusing on shopper marketing, their program execution is often hindered by a disconnect with their consumers, as a fair amount of the decision making happens in the retail environment. Bringing brands closer to their consumers at the in-store level, Cierant’s shopper marketing program management solution, Instigo, grants CPGs the ability to rapidly and affordably deploy personalized in-store marketing that drives purchase influence and 1:1 brand engagement. 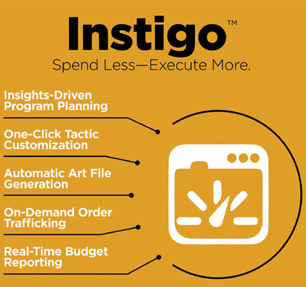 Injecting speed and budget into the mix, Instigo gives CPG companies the ability to optimize execution and scale according to the demand. By effectively targeting and reaching audiences with messaging unique to their geographical location and purchase behavior, “Instigo provides the first step to the realization that personalized marketing execution can be made easy, affordable, and manageable,” notes Cioban. Whatever promotion a brand’s sales team has in mind, the first thing they have to do is plan it with the retailer. Instigo provides the tools to help CPG shopper marketers and field sales build out and plan a promotional calendar inside the app. The calendar can be as simple as accommodating a few programs per year to as complex as managing several per week across diverse brand and product lines. Cioban notes that different markets require different promotions, which puts brands in a tough spot. They need to create tailored executions that are geographically customized, which can be extremely cost- and time-inefficient, if done manually. By automating the process, Instigo reduces the initial amount of labor required to make that customization and enables teams to execute more programs faster. “We take data and turn it into automated executions that can roll out into the field faster,” notes Cioban. “It’s all a combination of planning, asset management, and content customization.” All the sales team needs to do is enter the data in the system and the programs are automatically generated, cutting down time-to-market and reducing the cost of customization and execution. Cioban states that even though many agencies in the creative content space are brilliant at what they do, they are not able to set up templates that will allow for variation of content. “With Instigo, they can move things around and keep the process moving for both the creative executions that have been loaded as well as the budget-oriented content.” Additionally, the app’s reporting and analytics modules allow teams to see how programs are doing in the field in real-time through visually comprehensive data. Rounding the process up is Instigo’s budget-planning and management capabilities. The app’s robust module design helps teams build out a budget before the beginning of the year. They can then gather estimates from vendors and track the progress against the execution and their target budget. This aspect is probably the most important of all because it allows shopper marketers to make the most efficient use of their budget, especially if the numbers are evolving throughout the year, “which is a big deal in the highly competitive CPG marketplace,” notes Cioban. “It is remarkable how much margin erosion can occur if you’re not careful.” By controlling the distribution of these programs, shopper marketers can ensure their effectiveness and adhere to their target margin goals. Needless to say, Cierant incorporates a high level of security throughout every step of the process. Being ISO 27001 certified, Cierant keeps security as an integral part of its applications. With many customers in the healthcare landscape, they have taken security as a hyper-sensitive issue. The clients’ IT teams can easily tell if a supplier understands security and can help them identify potential gaps and put safeguards in place. The only auditable and internationally accredited Information Security Management System (ISMS), the certification implements stringent policies and procedures that ensure the security of all data managed by Cierant. This provides a great foundation to create new partnerships and enables their teams to provide expert insight into the secure data management and privacy concerns brands often run into when implementing a data-driven marketing program. When brands consider deploying a new consumer engagement solution, they tend to immediately bring up the time, budget or staff constraints ahead of implementation. “There is no reason why any of those objections should ever stand in the way of implementation of solutions that could measurably help their business,” asserts Cioban. “As technology providers, we must create a pathway that eliminates those barriers for our clients.” This is where Cierant’s integrated services and support come into play as a major piece of the puzzle. The extra layer of professional services is intended to head off problems before they even occur. What sales teams typically want is to be able to contribute their input and then rely upon the back-end support to execute. A great example of this was with Unilever, a global CPG managing a vast portfolio of brands and retail partners, which came to Cierant for help. Challenged by the amount of time and resource they had to devote in order to roll out any one program to market, Unilever was looking to streamline their program planning process and reduce the costs associated with it. Cierant worked with them to automate program planning, creative file generation, and production trafficking via custom application of Instigo. In doing so, they helped the company shorten time-to-market by 80 percent while dramatically reducing the cost of overhead. Moreover, any time there is a desire for them to add new system users or expand the capabilities of the system, Cierant accommodates that training and development support. Cioban helps keep Cierant on a constant growth path by drawing upon his roots and the valuable childhood lessons he received from his parents. “I was taught that I have the most important skill a man could possibly have—I can learn. Therefore, I know I can always reinvent if I have to.” With the dynamic nature and ever-changing demands of the CPG marketplace, who knows what’s down the road? In this sense, Cioban accentuates the need for every person on his team to constantly evolve, adapt, and stay on a learning path. This conceptual framework of a learning environment is absolutely foundational to Cierant’s value proposition. It is what customers expect and exactly what is needed for them to stay ahead of the competition.